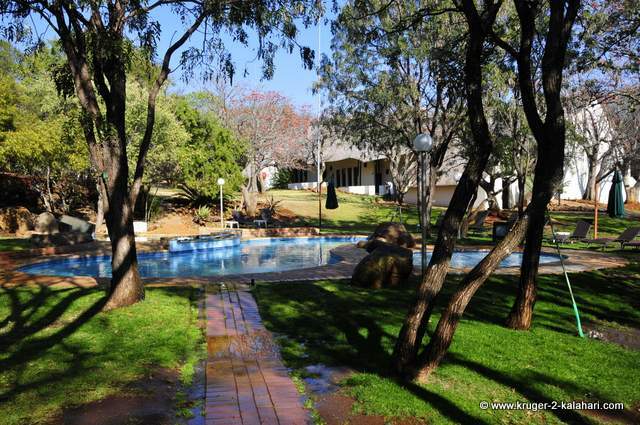 Kwa Maritane Lodge is on the southwestern side of the Pilanesberg National Park and is surround by hills that were fashioned by an ancient alkaline volcano, hence its name, which means "Place of the Rock". 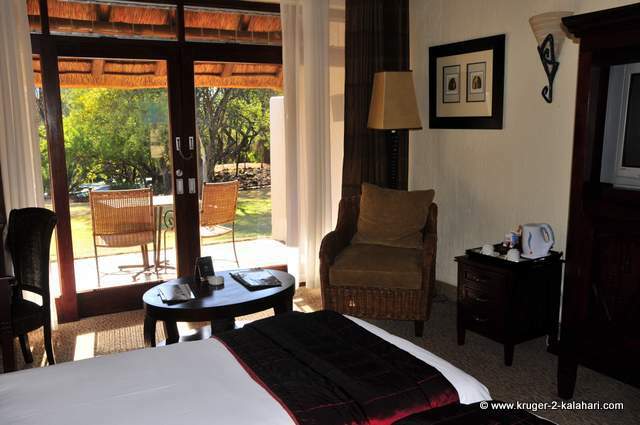 Kwa Maritane Bush Lodge captures the spirit of Africa and offers great views into the park and where civilisation, beauty and nature, meet in perfect harmony. 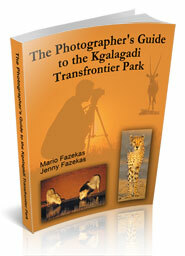 This luxurious Lodge offers you hotel and timeshare accommodation - hotel rooms, duplex-cabanas and chalets. 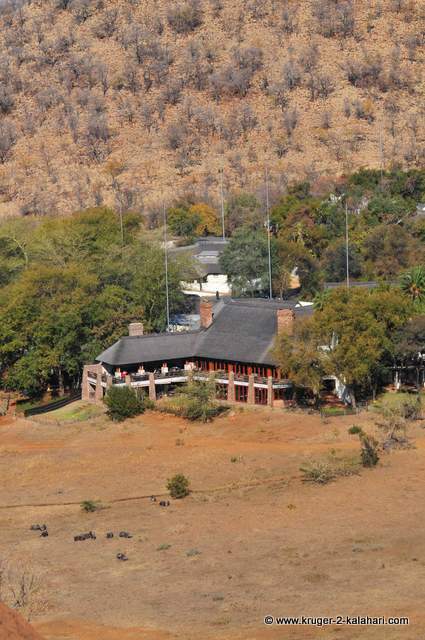 The hill in front of the lodge offers great viewing of Baboon, klipspringer and sometimes the elusive leopard, which has been seen lying on the rocks by some alert guests! 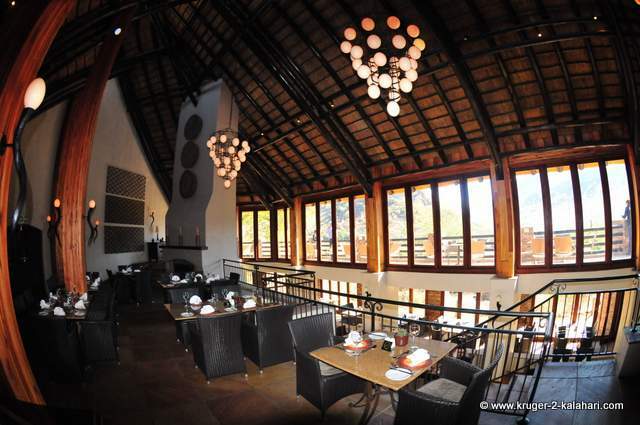 The Kwa Maritane Lodge restaurant serves a buffet breakfast, a terrace lunch and a carvery dinner with traditionally South African dishes, such as Springbok Carpaccio, Chicken and Coriander Salad and Seafood Hors D'oeuvres. 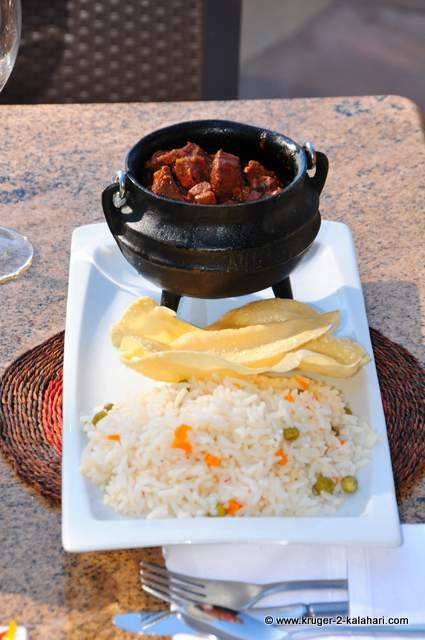 They also provide room service from the terrace menu. 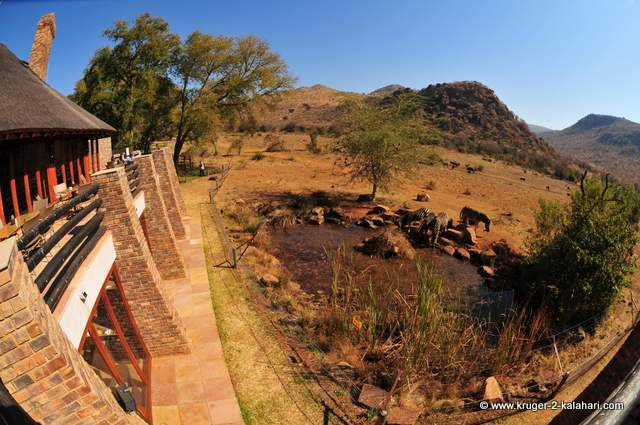 The large Boma, which is just up the road from the lodge, is surrounded by bush and makes a wonderful setting for functions if you want to get away from the busy lodge. Check out the carved wooded animals when you're there! The lovely bar lounge is connected to the main building next to the swimming pool. There are two swimming pools, a bush putt-putt course, a gym and a health spa for those who want to be pampered. 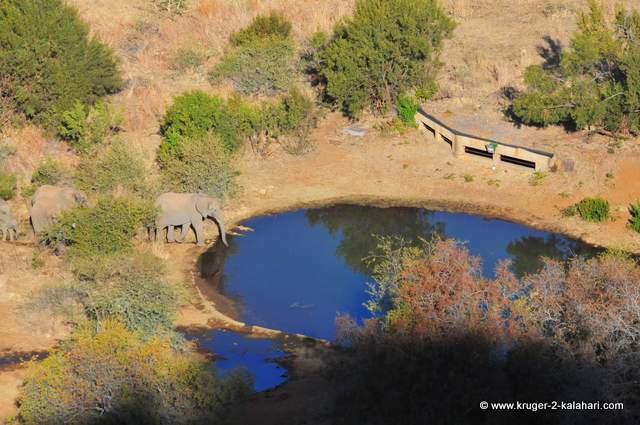 There are two waterholes, one in front of the restaurant, which can be viewed from the veranda area of the restaurant that is above the waterhole and that gives you the impression of being at a theater as you watch the comings and goings of the many animals. 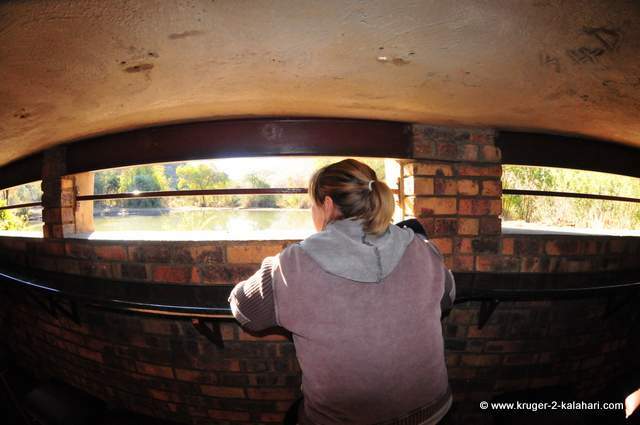 The other floodlit waterhole has an underground hide that gives you the feeling of being in a miners cave and is a great place to watch animals up close. 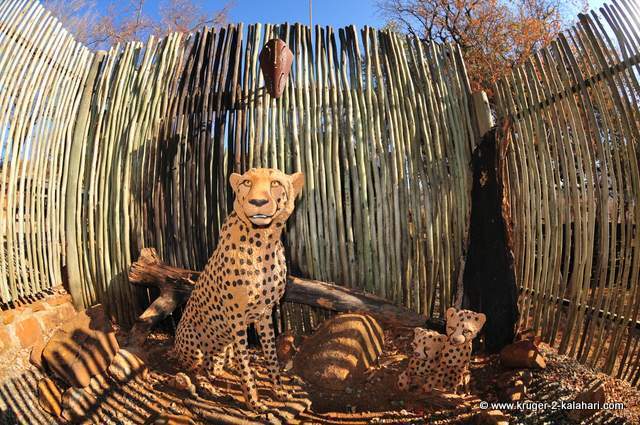 The hide is accessed via a 180-meter long tunnel from with-in the lodge grounds – the entrance to the tunnel is just past the restaurant. 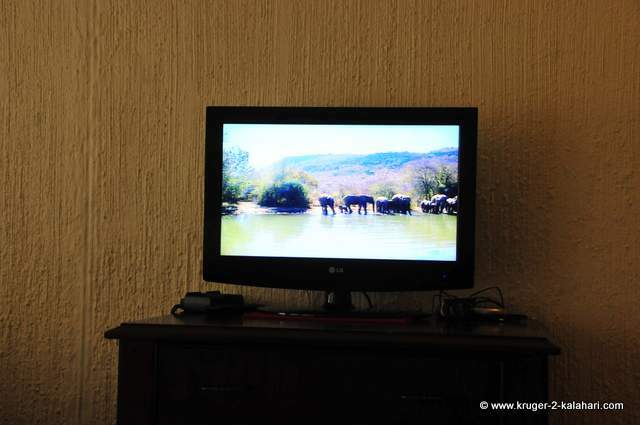 The hide waterhole also has a camera with a live feed that goes to your TV inside the units so you do not have to sit for hours at the waterhole – just make sure you are checking the waterhole channel in your room! If you see something on the screen you can pop down to the hide and have a closer look. 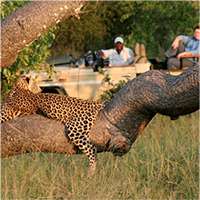 We say ‘pop down’ but the hide is far away from some of the rooms and could take a person 10-15 minutes to get there. 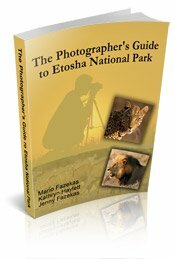 We stayed at Kwa Maritane Lodge for 7 nights and on our first morning we were getting dressed to go down to the hide (being wildlife photographers we prefer to sit and wait at the hide) when we see a male lion at the waterhole! Needless to say by the time we got there he had gone! 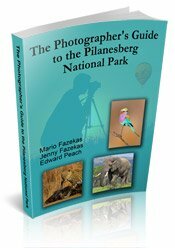 Other activities on offer: a junior rangers course for children, children's playground, an information center, guided bush walks and both morning and afternoon game drives and two tennis courts.